Students participating in a critique. 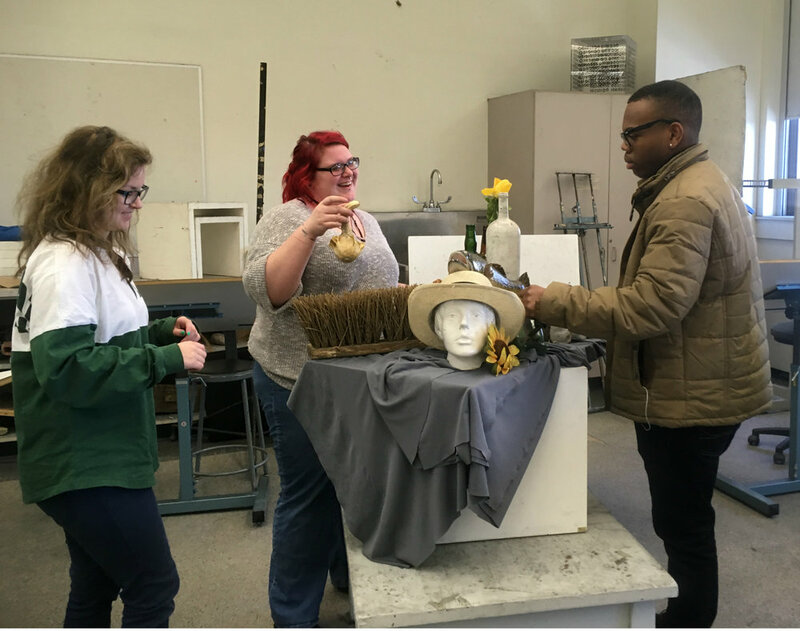 Students work in small groups to build still-life set ups using concepts of composition. Students draw draped fabric with charcoal using a reductive/subtractive method. 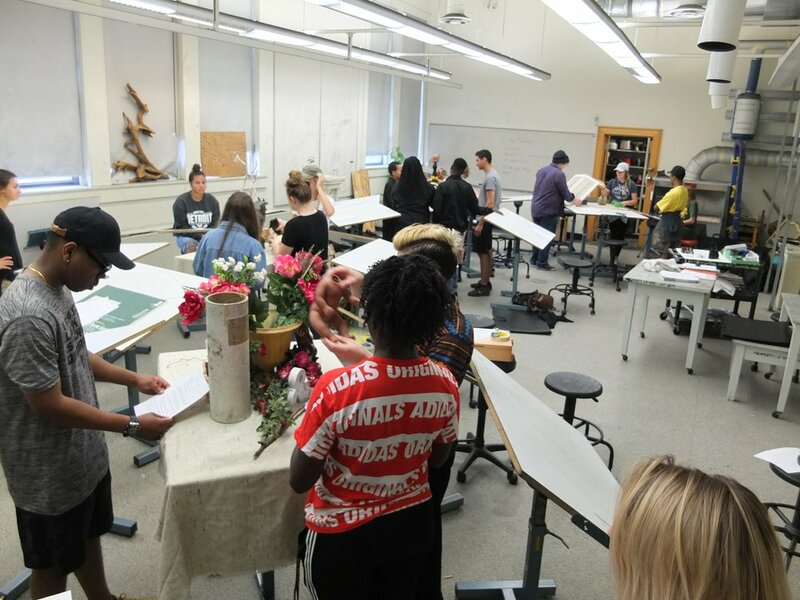 Students choose between three drapery still-life sets ups and make a reductive charcoal drawing. Students tour the Detroit Institute of Art during a class outing. A set up of basic 3D shapes for students to practice observing value and drawing light and shadow. A classic drapery set up that hints at a figure. Drawing 1 & 2 students can choose to practice drawing facial anatomy by drawing a plaster bust or a self-portrait from a mirror. 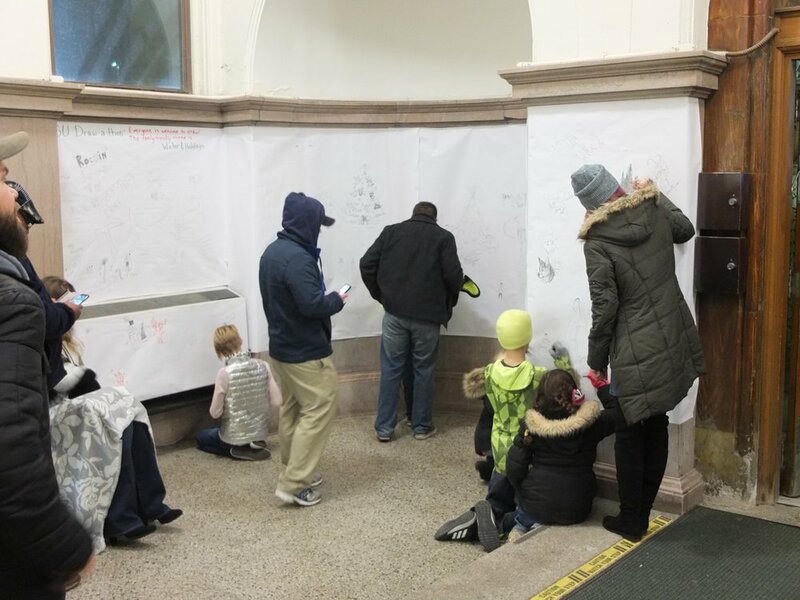 In 2017, with the help of my drawing students, we developed and hosted the WSU Draw-A-thon as part of the 45th Annual Noel Night Celebration in Midtown Detroit. The students came up with the theme of "Winter & Holidays." Hundreds of people from the community came out and participated by drawing on the walls of the historic Old Main building on WSU's campus. Another view of Draw-A-thon, which took place December 2, 2017 in the historic Old Main building on WSU's campus.